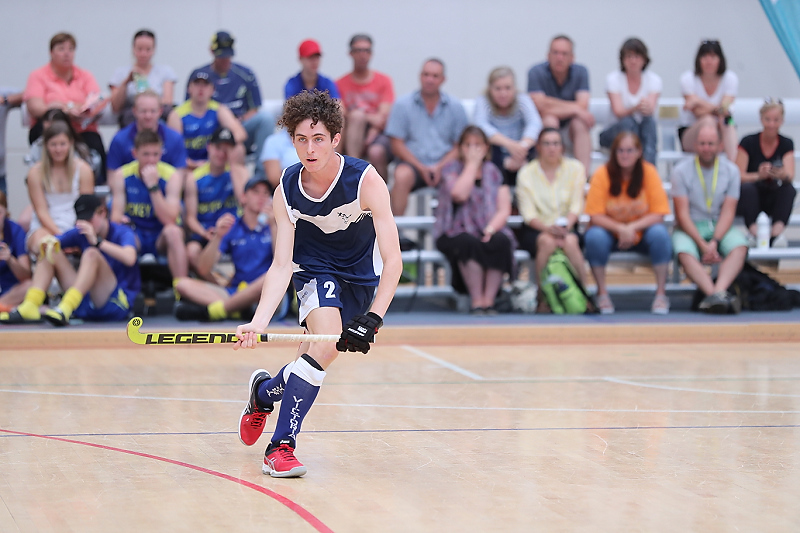 Congratulations to Benjamin Mazzeralla on winning a gold medal for Victoria at the Australian Indoor Hockey Championships. As part of the U15 Boys Victorian team, Ben traveled to Goulburn on 6th January to compete in four days of intense competition against other states. The boys went undefeated throughout the tournament and Ben contributed strongly for the team throughout the week, including a couple of goals in the semi final against a strong Western Australian team. A few hours later, the Vic boys were back to face New South Wales in the gold medal match in front of a record crowd. With both teams undefeated in the tournament, the Victorians played exceptionally well to beat NSW for the first time in 5 years with a 5-3 score. The team played incredibly well across the tournament and remained undefeated at its conclusion. It was a terrific experience for Ben, gaining knowledge and friends as well as having the most amazing playing experience. With great camaraderie both on and off the field, combined with the terrific coaching of Andrew Scanlon (who played in the Open Mens team a few weeks later), the Victorian players showed great physical and mental performance to confidently bring home the gold. Ben believes that the opportunity, experience and knowledge gained from this tournament has been invaluable. He said that the chemistry and friendship in the Victorian team was a big reason why they won, having lots of fun on and off the court. Congratulations Ben on being a part of the Victorian indoor hockey team and winning gold. Ben is a great example of our young up and coming talent that we have at La Trobe and it is a testament to the efforts of the club and parents on building a great junior program.